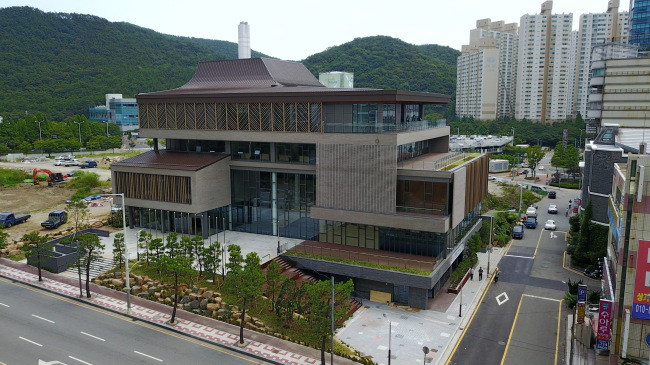 The Foreign Ministry will unveil an institute on Friday in Busan designed to promote the cultures of Southeast Asian countries and joint academic research as part of efforts to deepen sociocultural exchanges, officials said Thursday. The ASEAN Culture House will be sheltered in a four-story building that spans 2,640 square meters in the port city’s vibrant Haeundae area. It will be operated by the Korea Foundation and will have exhibition halls, libraries, a culture experience chamber and research and seminar rooms, among other facilities. The institution will display items donated from each ASEAN member country, featuring their traditional and modern culture, religion and other aspects, while offering a venue for music concerts and performances as well as gatherings among Southeast Asians here. The 17.3 billion won ($15.3 million) initiative was presented during a commemorative summit in December 2014 in Busan to mark 25 years of diplomatic relations. The ministry held a groundbreaking ceremony for the institute in June last year. The culture house is the first of its kind, and Seoul is the first to introduce it among the 10 ASEAN dialogue partners, according to Suh Jeong-in, Seoul’s ambassador to the Association of Southeast Asian Nations and one of the key initiators of the plan. Foreign Minister Kang Kyung-wha is scheduled to host ASEAN ministers and some 300 other guests at a launch ceremony Friday. “The ASEAN culture house will be a crucial milestone in strengthening our ASEAN relations, while serving as a culture center that tells our people about the cultures and histories of the 10 ASEAN nations and boosts mutual people-to-people and cultural exchanges,” ministry spokesperson Cho June-hyuck said.